Enough of this SLow Plates in Winter BS! I've been annoyed by and dissatisfied with how J. 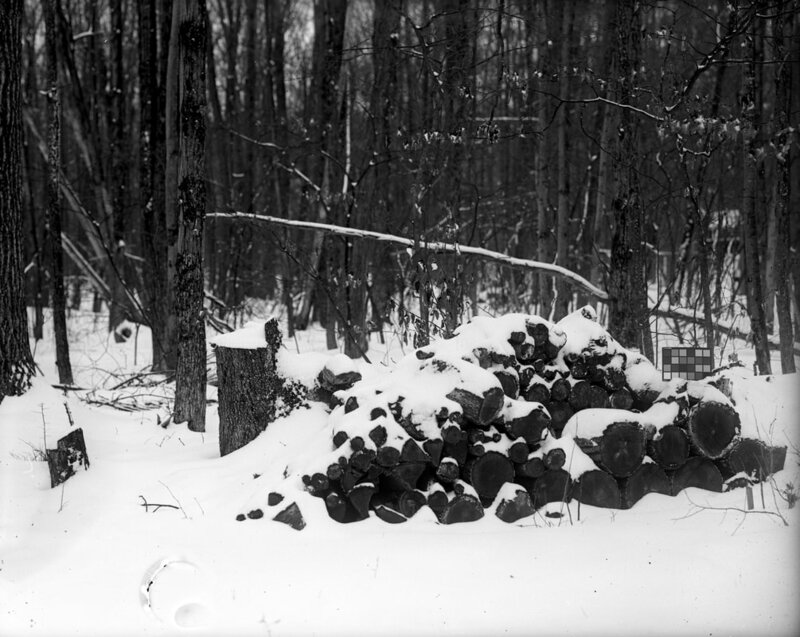 Lane Dry plates lose so much speed in wintertime, so I've been working almost non-stop over the past two weeks (and at a less hectic pace before then) to refine the emulsion formula so that the plates give denser negatives in the winter when metered at ASA 2. Essentially this means I've kicked the speed / contrast up while retaining the extremely fine grain. To give you an idea of how much testing, I have a stack of about 200 plates worth of Stouffer Step Wedges that I've developed over the past month or so testing and retesting tweaks and additions to get the emulsion right. (Those will be cleaned and repurposed for future orders, in case you were wondering). Starting with Batch 37 (printed on the back label of each box), you'll find a significant increase in speed and contrast. I actually overshot the mark a bit with Batch 37 and it might be a bit *too* fast for ASA 2 metering this time of year (not that I think anybody would complain), so I'll dial back the speed / contrast a stop or so for batch 38. I actually considered dumping batch 37 but to be honest I've been making and tossing so many emulsion batches and developing so many plates that I'm a bit burned out and would rather just get this out into the world since it has such nice grain and tonality. I also saw that the swirlies were starting to rear their ugly head again but I think I beat that down with additional stabilizer.. we'll see if that does the trick. That seemed to have helped, but time will tell. The first few boxes of batch 37 will be going to Bostick & Sullivan, who ordered them to restock 4x5 if you're interested in trying some out. I'll be filling my own orders from existing inventory, so it'll be a bit before the new emulsion is cycled through my store. Or, after the short vacation we're going on I might just say f' it and strip all the emulsion off the plates in inventory and recoat them. Scan of plate from reformulated emulsion (batch 37), metered at ASA 2. They both scan in great, but the scan of the newer batch has better grain characteristics (less contrast stretching needed). Visually the batch 37 plate is significantly denser. Dry plate holder Kickstarter is coming! In collaboration with Chroma Camera, I'm pleased to announce that I've begun testing the prototypes for new, affordable dry plate holders! Time to geek out about emulsion making and characterization data for the emulsion. TL;DR: Science, science, science, then a characteristic curve plot. I've been characterizing my emulsion batches for some time now, primarily to ensure batch-to-batch consistency but also to help troubleshoot issues that may come up from time-to-time. 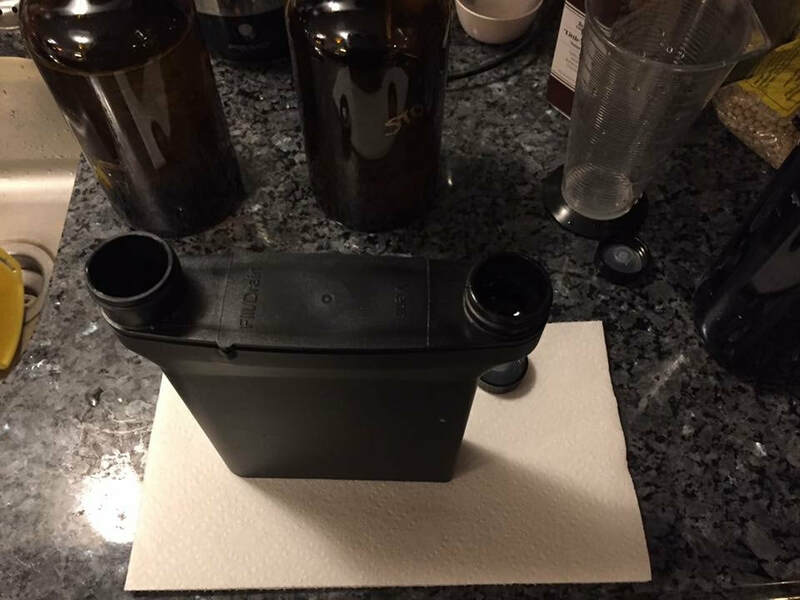 Beginning with batch 20, I started using a more advanced mixing head when making emulsion. I wanted to accomplish two things: 1) minimize the amount of air whipped into the emulsion, which causes foaming and introduces air bubbles which are difficult to remove and increase the risk of defects such as pinholes in the final emulsion. 2) Delicately improve the shadow details to help with scanning and printing to modern multigrade paper. I say delicately because I worked to still retain that late 19th century look for printing with processes from the time period. This results in a longer toe in the characteristic curve which helps scanning and makes the shadows look really nice. You can see this in the data plots for batches 20, 28, 29 in the chart. The trade-off was decreased contrast and (I think) about 1/2 stop loss in speed. However, I don't want to go back to the old method of mixing because the plates are cleaner with less undesirable defects (vs the desirable characteristics of hand-coating the plate). While the contrast is still high compared to film, the highlights don't quite pop like older plates... or at least that's what my impression is. So I did some testing and researching and figured out what needed to be done to increase the contrast in the highlights.. the result is batch 30. I still need to go out and get some photos under real world conditions, but the batch looks promising. I'll save that for the next post. 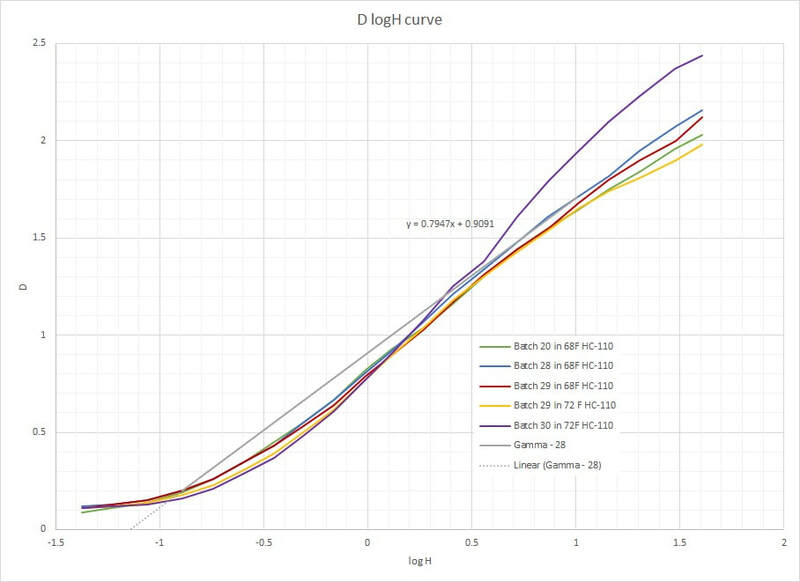 So what you see below is the raw D logH curve for my emulsion for batches 20, 28, 29, and 30. These curves were generated with a uniform tungsten source measured with a calibrated light meter ... not a photographic light meter for metering a scene, but the kind that an optical engineer such as myself would use for scientific testing (read: more precision and readings given in radiometric values). The 4x5 plates are exposed through a calibrated 21-step 4"x5" wedge at a light level and exposure time to cover the linear region of the curve. After development per my recommended method (note the temperature is captured), the plates are allowed to dry and then measured with a calibrated densitometer. Aside from the test batch, gamma is a hair under 0.8. I'm pretty pleased at the consistency of the batches (all things considered, and not counting #30, the test batch), which is something that I've spent a lot of effort to ensure. I think I do need to kick the speed up a bit, just based on taking photos outdoors in the New England winter. I don't think the mixing method changed the speed, but highlighted the speed loss from some other source (if that makes sense). I have a couple of suspects, but I still need to test... in any case, increasing speed isn't difficult. 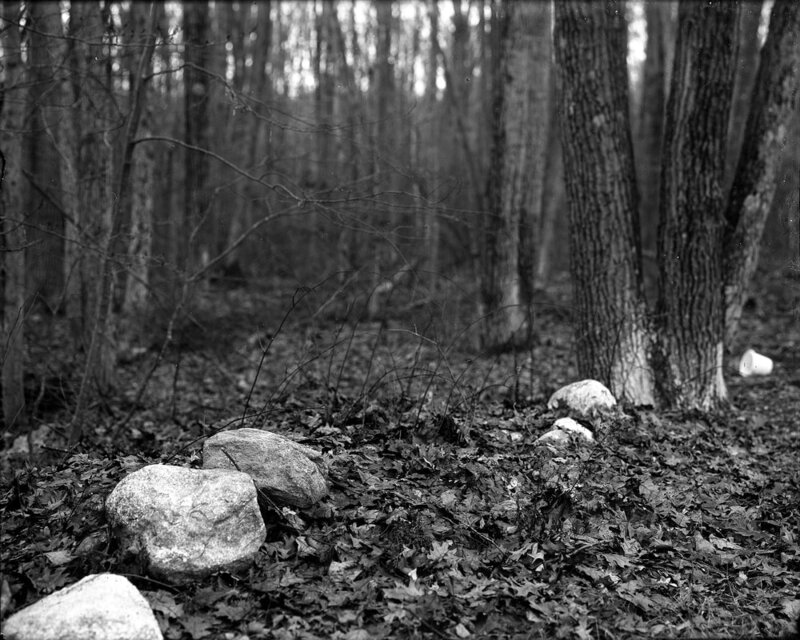 One note: Take the log H axis values with a grain of salt: The specific values were loosely anchored to bright sunlight conditions in early fall New England, and of course this a non-panchromatic, non-orthochromatic emulsion varies significantly with the ambient UV levels, so you can only get in the ballpark (~ASA 2) for practical metering purposes anyhow. What it does show is that this emulsion is much slower than modern films (duh), and is what you would expect if you were to make your own without sensitization. Before I reflect on the past 365.25 days, I want to thank everyone in the photography community who has been so supportive and welcoming to me as Pictoriographica started and continues to take off. While dry plates are awesome in and of themselves, it's all the wonderful and fascinating people I've met and talked to, exchanged emails with or had to honor of enjoying their dry plate results that has made this venture so much fun and made every hour of lost sleep worth it. I hope you get as much enjoyment out of this exciting new world of dry plate photography as I have in interacting with all of you. You rock! On 20 December 2017, I posted a classified ad here advertising the sale of some extra 4x5 plates, packaged in spare three-piece sheet film boxes with a fun label to make them look cool. J. Lane Dry Plates were born! I posted the ad and went to sleep, figuring *maybe* someone might buy a box over the next few days. The next morning I discovered the three boxes of plates had sold in about 15 minutes, and I was shocked to find that my inbox and the ad itself was inundated with requests for more 4x5 and other sizes as well. Since my Christmas break had started, I had no reason not to just run with it. I ended up sleeping very little that break. A year later, primarily because I've brought on a couple of awesome high schoolers to help part time (more on them later), it's only been *just this month* that I once again get to enjoy the luxury of 8-hours' sleep. It's been a great ride so far. There have been snags and hiccups along the way (I hate swirlies and thin plates), primarily related to ramping up the quantity of emulsion I've had to make (almost 100 Liters), the number of plates I've coated (about 10,000 plates), and accommodating all the different ways that people other than myself go about processing them. Fortunately, my technical background (almost 20 years as an engineer solving really hard problems) has enabled me to isolate and address the myriad of issues that have cropped up while improving the quality and -- most importantly -- the batch-to-batch consistency of the final product. As most of you know, this is a side business: I have a full-time job as a systems engineer (formerly lens designer.. I'm moving up in the world) and have kids with all the kids activities that go with it. So my "Pictoriographica Work Day" really starts at around 9PM. As demand continued to grow, I simply couldn't keep up. I had no time for anything else. So last month, I brought on board two awesome part time workers to help me keep up with demand. They are both high schoolers, incredibly enthusiastic about film photography, who are hard working and weren't looking forward to flipping burgers as a career starter. Jack cuts and preps glass, while Laura is quickly gaining proficiency in coating plates. Chances are if you've ordered plates this month, the plates you receive were prepped primarily by them (I've been doing QC while they come up to speed and still pack them and ship them out). The great thing about that is it frees up time for me to sleep and also gives me time to get back into doing R&D to develop new and interesting products. Faster speed, you say? Orthochromatic? New *affordable* dry plate holders? Even cooler things that I dare not even mention yet? 2019 should prove just as refreshingly fascinating as 2018 has been in the world of dry plate photography. So the first cool news for 2019 will be a new "experimental emulsion shop". I will be standing up an online store here on the website to make available plates coated with some of the experimental emulsions that are the fruits of my ongoing research and development. These experimental batches typically generate more emulsion than I really need for testing, so rather than dumping it out I'll make it available to you to play with. The listings will provide some basic characterization info and an approximate ASA value to meter... with the caveats about metering ortho or unsensitized plates applying, of course. These will be "one time runs". Once they're gone, that's it. They'll be replaced with the next thing I'm working on. So that should be fun. I'll close this blog with this: As long as there is a demand for dry plates, I will continue to make dry plates. The original J. Lane Dry Plates will always be available, to preserve the look of the dry plate era and ensure it is readily available as an additional tool in the photographer's toolbox of alternative processes. Many of you who are either interested in trying out dry plates or are in the process of trying out dry plates probably soon realize that certain accessories are either required or very useful when working with this process. One of the really handy accessories to have is a plate drying rack. After you've ooh'ed and ahh'ed a plate fresh out its rinse bath, the next step is to let the emulsion dry. I've always recommended setting the plate vertical, but you quickly realize that leaning the plates ad hoc against something on the countertop is a risky venture. Enter the plate drying rack. They are such a handy and convenient dry plate photography tool. Plate drying racks have been around almost as long as photography itself, but oddly enough antique racks are very difficult to find. So, you either have to fork over half-a-fortune if you do come across one, adapt something for the job, or make your own. In an effort to help you out in your dry plate photography ventures, I'm going to start offering useful dry plate accessories for sale through my Etsy shop. Made by Greg Fealey of Cold Creek Wood Products, these wooden plate drying racks are great for holding 9x12, 4x5, and larger plates while they dry after being developed. Made of oak and with a water-resistant finish, they are solid performers that will hold up for many years. Feel free to check out the listing at http://www.etsy.com/shop/Pictoriographica A major goal of mine is to keep dry plate photography as affordable as possible, so I've pushed down the price as far as I can to US$45 + $10 shipping. When you shoot glass plate negatives, one of the last things you'll think of is storage of the plates. I realized I had this problem when I started cleaning the dust off stacks of plates on my desk. Fortunately for us, archival storage of glass plate negatives is something the industry has been dealing with for about a century now. I have worked with Stearman Press over the past couple of months to perfect these plate holders, testing out prototype holders and verifying that development in the SP-445 delivers perfect results. This is a GREAT accessory which avoids the need to tray develop 4x5 plates in a darkroom, allowing you the convenience of developing plates at your kitchen sink... just like you would sheet film! 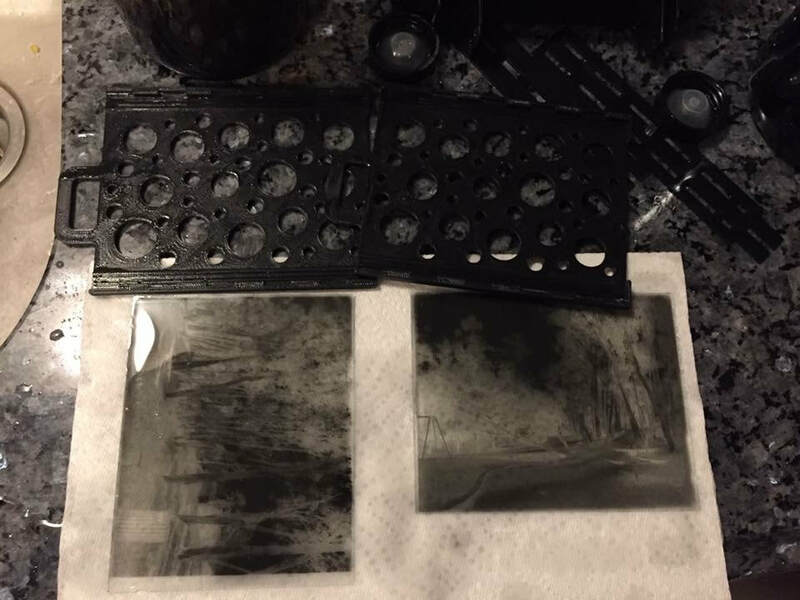 I now exclusively develop my own 4x5 plates in the SP-445, and really appreciate the convenience as well as the ability to use my favorite washing technique: The Ilford archival wash method described here under the "Spiral tank processing method" section (I omit the PhotoFlo step). Over the course of the past few days I've had several requests for 2 1/2" by 2 1/2" plates. I mentioned this coincidence to a customer and he replied that this is the format size for Holga custom collodion backs made by Holgamods. Mystery solved! I contacted Randy at Holgamods yesterday and had a great conversation about all things Holga and dry plates. Randy's a great guy who should be familiar to all the Holga shooters out there in the world. Works super hard supplying modified Holgas and accessories and really enjoys what he's doing. He was pretty excited about what I'm doing as well, so I expect he'll give a heads-up to the Holga community about the availability of dry plates compatible with his plate backs. While it's not listed in the "stock list", I can make dry plates in this size just like any other size. I've been quoting $13 + S&H for a pack of 10 plates. Due to the nature of the 3D printing process, and until I have a better feel for dimensional tolerances of the holders, please measure the plate clearance dimensions on your holder so I can ensure the plates will fit. So far, measurements range from 61x61mm to 64 x 64 mm (61mm = 2.40" and 64mm = 2.52"). I'll remind you to make the measurements when you request the order. Visit http://www.holgamods.com and follow the link for "3D Stuff" to find the Holgamods plate holding back. He also has a panoramic format plate holding back on that page. My esteemed assistant awaits the show's opening. A couple of months ago, I was invited by coordinator John Dockery to set up a table at the Photographic Historical Society of New England's annual PHOTOGRAPHICA antique camera show. The show is held outside of Boston, MA, and draws crowds not only from the New England area but from across the country as well. Exhausting but fun, I met a TON of great people and spent HOURS talking about one of my favorite topics -- dry plate photography! Doesn't get much better than that. I even sold some boxes of plates, and ran out of business cards *much* earlier than expected. If you were one of those who were accommodating enough to simply snap a photo of my last remaining card ... thank you ! I'm so glad to have been able to attend and let folks know about the availability of dry plates. My goal has always been to bring dry plate back as a viable photographic media, putting the plate cameras of the period back into use. I've always felt that the learning curve required for coating glass prevents more widespread interest (such as with the uptick in interest that wet plate has seen). Photography shows like PHOTOGRAPHICA is an important avenue for getting the word out that there's an easier way to get involved in dry plate photography. I'm pretty optimistic about the interest out there, especially after attending the show and meeting all the people who stopped by to chat and satisfy their curiosity! I'm the guy behind the curtain, Jason Lane, coating plates instead of sleeping.